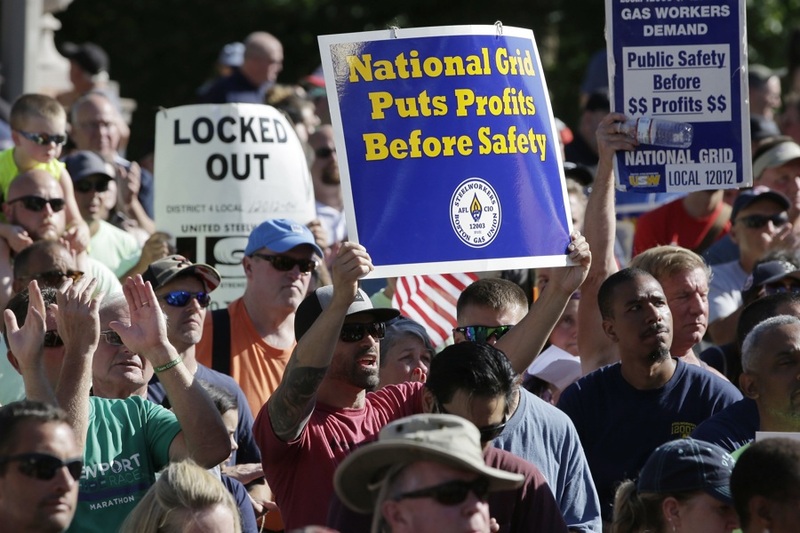 The National Grid lockout, which has kept about 1,250 off the job for months as union workers and the British gas company quarreled over a new contract, may finally come to an end. A tentative agreement reached late Wednesday night seems poised to end the more than six-month impasse, during which protesting employees decried changes to pension and health plans and accused the company of jeopardizing safety by calling in replacements to do their jobs. National Grid and United Steelworkers Locals 12012-04 and 12003 have been negotiating since June. It was not clear exactly what was in the agreement, and National Grid says in a joint statement that its contents won’t be made public until after the unions have the chance to vote at some point between now and Monday. The move comes not long after Charlie Baker signed a bill into law that would allow locked out workers to continue to receive unemployment for several months, long after the benefits would have run out. Boston Mayor Marty Walsh, as well as lawmakers at the State House and in the state’s delegation to Washington—including Sens. Ed Markey and Elizabeth Warren—had also been ramping up pressure on the company to reach an agreement.